We are delighted to introduce to you our new Youth Circus Show Director, Robert Gallagher-Lyall! 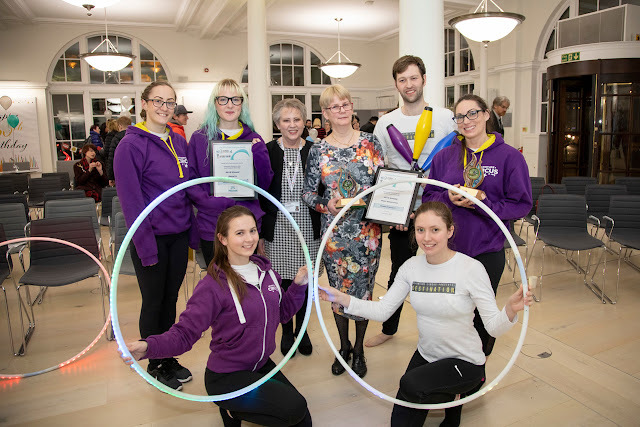 Robert, or Bob, comes to us with a variety of amazing circus skills, these include juggling, diabolo, poi, staff & hoop spinning, tumbling, dance and acrobalance, clown and theatrical skills. Basically everything we need! 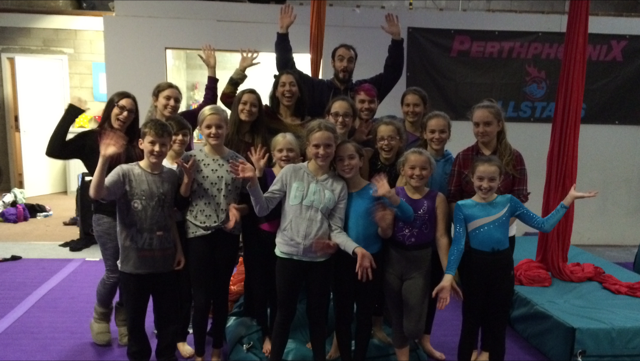 Bob (centre) with AC instructors and his new cast of circus performers! Bob performs with Circus Alba, and has been a member of fire performance group PyroCeltica since 2013. 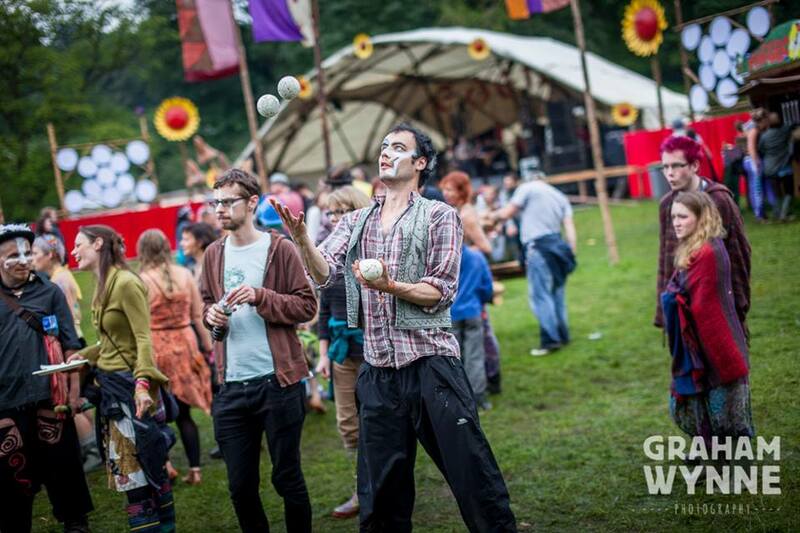 He has wowed the crowds at Eden Festival, The Kelburn Garden Party and Belladrum. At the same time, Bob is a youth circus teacher at CircusKool and in recent years has been involved with three Artcore Youth Circus projects, where, alongside several other teachers, he developed an eight week programme to teach a variety of circus skills and create a show suitable for performance at the end of each course. Perfect experience for our Youth circus show project! Bob starts today with our youth circus school, and we can't wait until showtime in December. Save the date for Sunday 11 December. This post is joint funded by Adventure Circus, and generously by a Voluntary Action Fund Community Grant (2016-2017).